Accessing and Printing Your User Barcode – How can we help? 1. Navigate to Setup -> Users in the sidebar and click on an existing user. 3. Here, you will be able to view the user's unique barcode. 4. To print the barcode, click on Print Barcode. 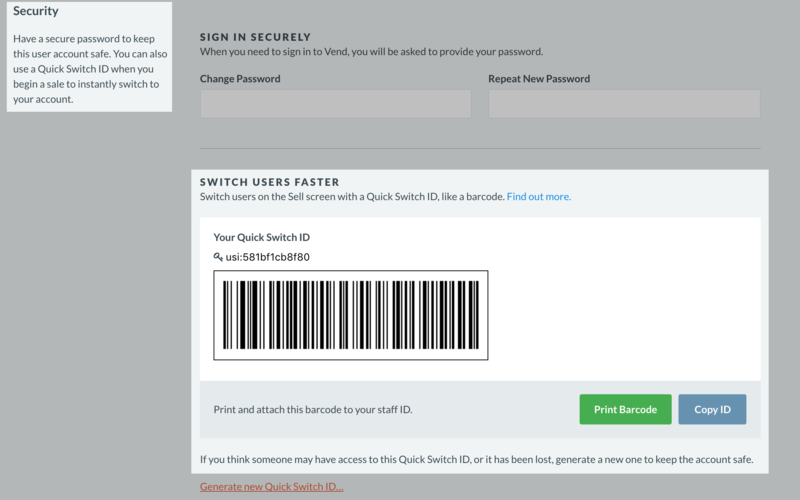 Note: By default, manager and admin accounts will be able to generate new barcodes for other users in your Vend store.